An original circa 1900 oil on canvas by Scottish listed artist William Bradley Lamond RBA 1857-1924. It depicts an azure blue Scottish windswept seascape with rocks and gulls. A glorious Post Impressionist seascape and a fine painting. In excellent condition and framed in its original gallery frame. This is a fine painting by a British listed artist who is represented in many public collections. 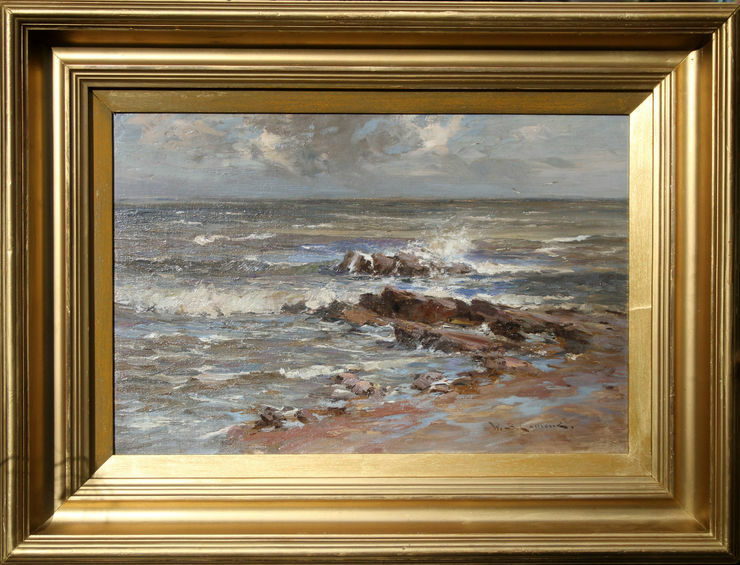 A wonderful example of an early 20th century marine seascape oil painting. William Bradley Lamond RBA (1857-1924) was a Scottish painter, born at Newtyle, Angus. He had no formal art training and worked for the Caledonian Railway company for many years. 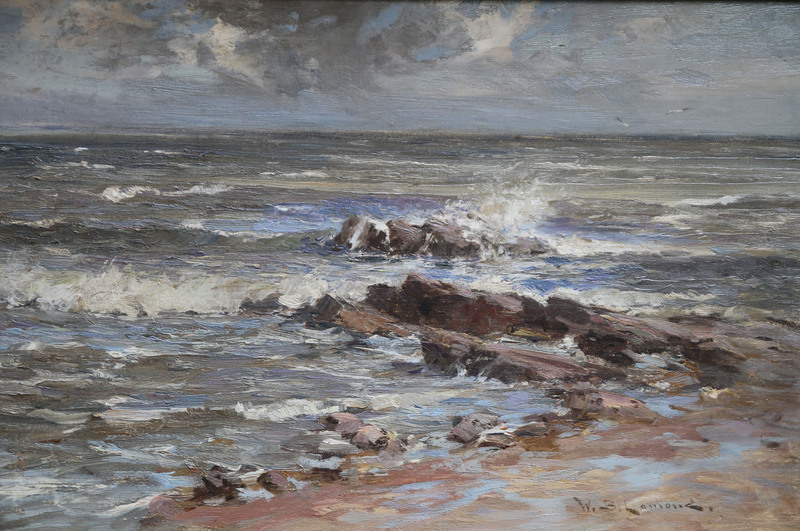 He initially specialised in portraits and later worked on landscapes which have been described as "vigorous impressionistic scenes in oil - with a strong use of colour". He was elected a member of the Royal Society of British Artists in 1906, and exhibited at the Royal Academy, Royal Scottish Academy and Glasgow Institute of the Fine Arts.